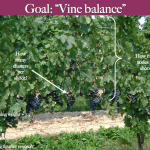 Soil Solutions, LLC is a full-service consultancy for vineyard, cidery and perry development. 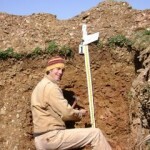 We specialize in pedology, geospatial mapping, soil chemistry, soil biology, soil physics, and hydrogeology. Our intent is to assist the grower in creating superior quality wines, cider and perry. We also consult on other high-value crops. Founder James Fisher is a certified Soil Scientist who has deep roots in eastern Pennsylvania agriculture, having farmed, consulted and supplied to the industry since the 1990s. In addition, Fisher has consulted in as far-flung places as the Mornington Peninsula in Australia where he worked with wine growers, and Kandahar Province, Afghanistan, where he worked with the USDA and USAID advising local farmers on crop production to help enable economic security.